They released their 4th album "Bookends" in March 1968 and spent a lot of time gigging that year. 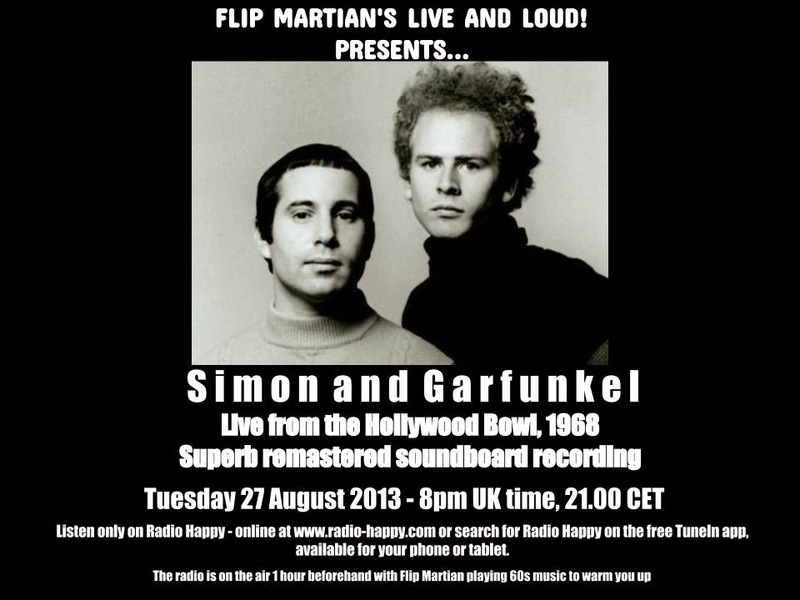 Clearly, playing the Hollywood Bowl, they were a big deal by 1968 and they deliver a superb set in this recording. A wonderful performance full of energy and good humour. The performance was recorded by Al Kooper, and was possibly intended for an official live album. A few recording anomalies (the guitar hitting Paul's mic stand and tape saturation) likely commanded a veto from the CBS Records executives. It's a shame, because, aside from a few recording baubles, the show is certainly worth an official release. I hope you enjoy this version instead! Of special note are the performances of "Overs," "At The Zoo," "Leaves That Are Green," "The Dangling Conversation," and "Old Friends / Bookends." I'm told this recording was released as a bootleg entitled "Voice of Intelligent Dissent" in its original form. I hope those of you who know that enjoy what I've done with it. Its a soundboard recording of the full gig and with some noise reduction and light tidying up, it sounds superb. I hope you enjoy it. I have the boot lurking around somewhere but I'm happy to hear what you've done to improve the quality. Much appreciate the hard work you put in to bring us these shows. Cheers!